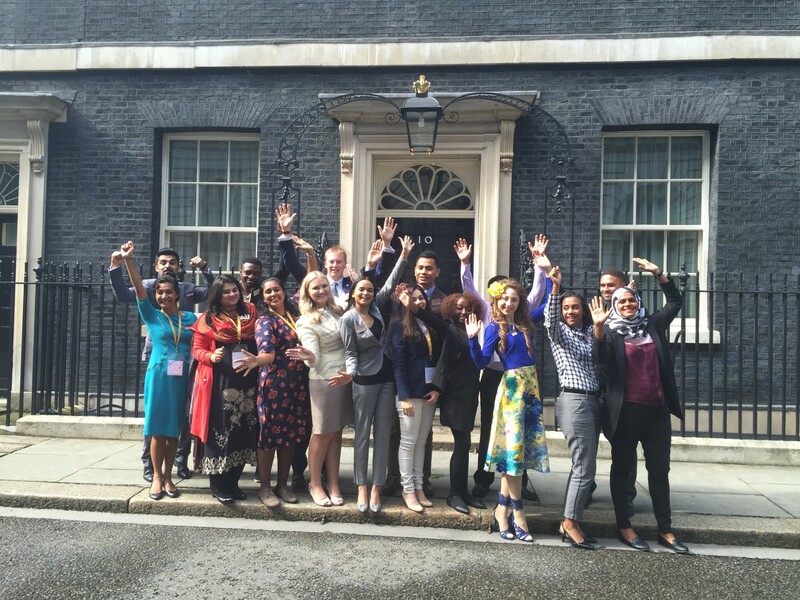 The Queen’s Young Leaders Residential Week 2016 has got off to an inspiring start, with visits to Twitter UK, BBC Worldwide and 10 Downing Street. The day began with some traditional British weather and it was umbrellas up as the Queen’s Young Leaders made their way to Twitter. 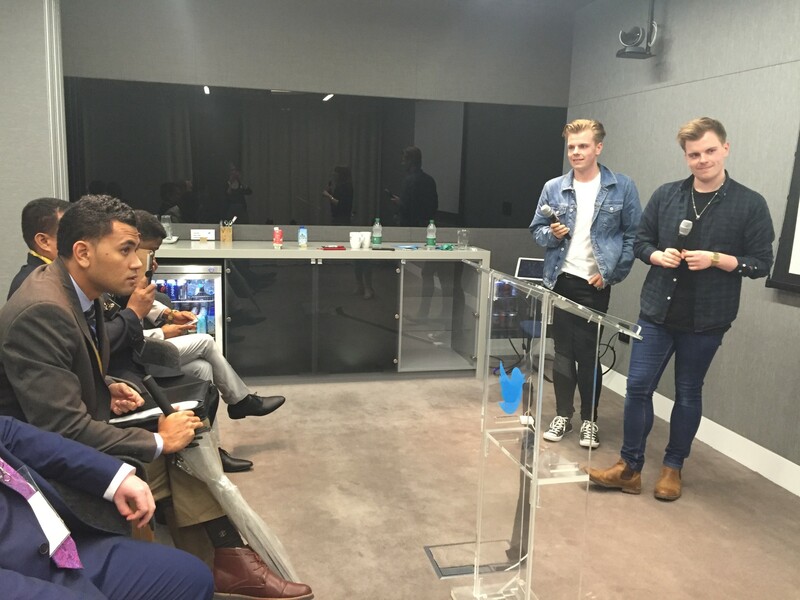 At a fast-paced social media masterclass the Award winners got the opportunity to question some of Twitter’s top executives, before listening to YouTube stars Niki and Sammy talk about how to build a community through social networks. Next it was on to the BBC World Service where BBC Director-General Tony Hall talked to the group about leadership and they work they are doing. 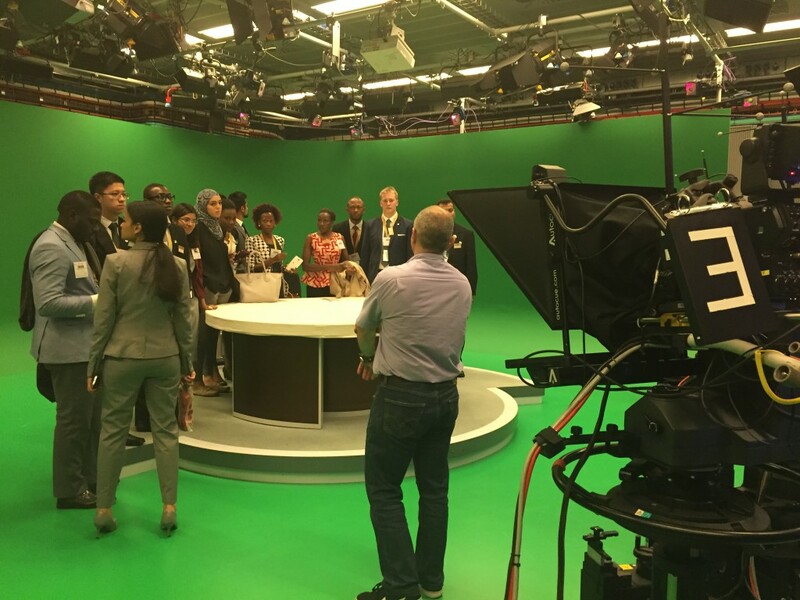 After having the chance to network with presenters and producers from across the BBC network, the Queen’s Young Leaders were then given a tour of the studios and even had the chance to try out the famous green screen room. 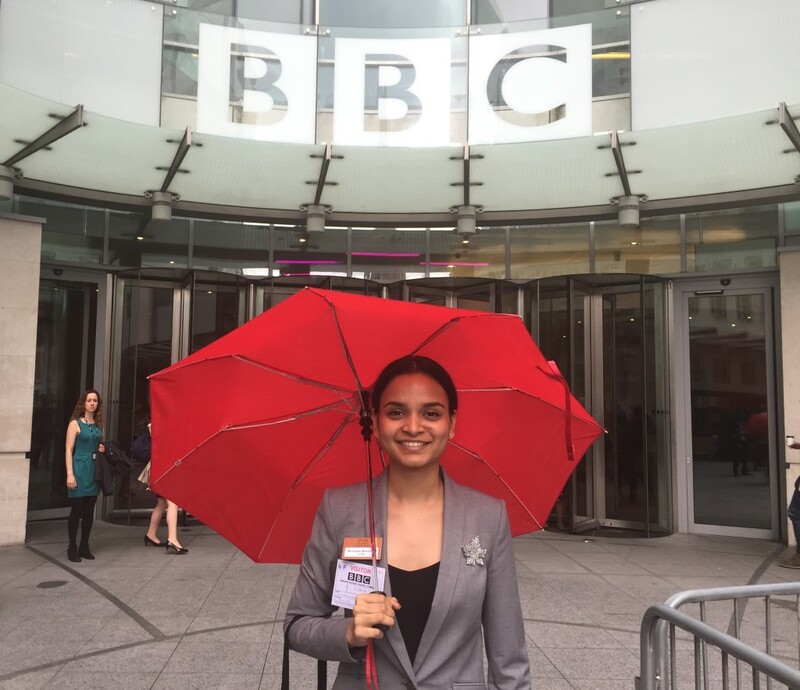 Then they were given some top interview tips and learnt about how to promote their projects in workshops led by the BBC Academy. The final stop of the day was at one of London’s most famous addresses – 10 Downing Street, where the Queen’s Young Leaders were able to put their questions to the Secretary of State for International Development Justine Greening and Hugo Swire, Minister of State for the Foreign and Commonwealth Office. After an exciting and inspirational day, the Queen’s Young Leaders headed to Cambridge where they will spend two day learning more about leadership on the Leading Change course.